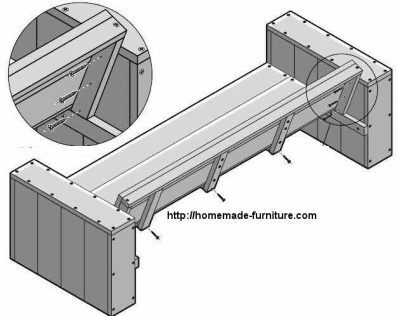 ﻿ Lounge bench tutorial, building plans of homemade scaffold wood furniture. 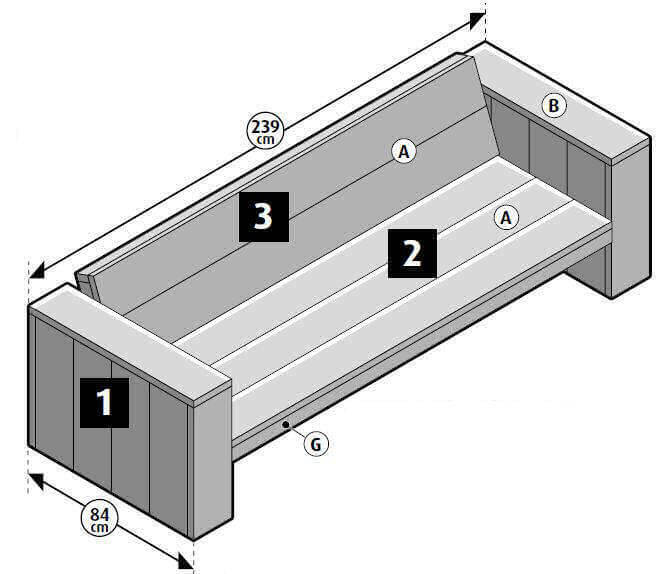 Six step manual for a sturdy lounge bench made of old scaffolding planks. 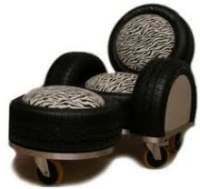 Easy DIY tutorials for exclusive homemade furniture from repurposed materials. 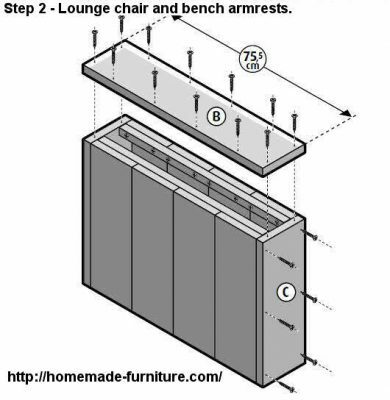 Lounge bench tutorial, building plans of homemade scaffold wood furniture. 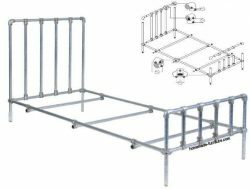 Free furniture plans » Scaffolding wood lounge furniture - blueprints with assembly instructions. 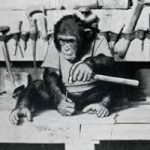 » Do it yourself building plans for a garden bench of scaffolding wood. 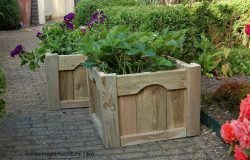 Free plans for a homemade garden bench in lounge style. 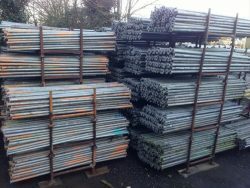 Scaffold wood with metal ends. The plans and manual for this lounge bench were originally made in Dutch. For this site we are still translating the complete instructions and parts list in English. Please have a look at the Dutch step by step tutorial for this bench. 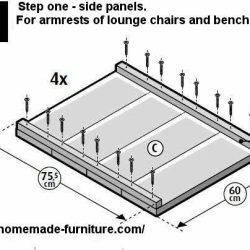 These instructions for the lounge bench will be automatic translated untill we have fully deployed this new website about making your own furniture. 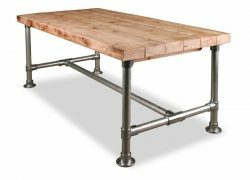 What do you need to make this lounge bench of scaffolding wood? 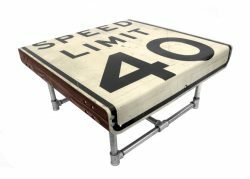 If you are using scaffolding wood for this lounge bench, then you will notice that these old planks have many different sizes. The size of scaffolding planks mainly depend of the country where you live. 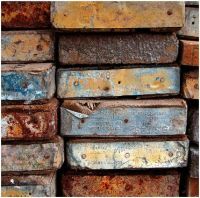 Apart from the length, the width of the planks and their thickness will also vary. For that reason you will have to adapt these quantities according to the material at your disposition. Lounge bench parts and saw list. These benches consist of four seperate panels. A – 5 Planks with a length of 2 meters. B – 2 Planks 84.2 mm. C – 20 Planks 60 centimeters. D – 3 Slats 30x62x525 milimeter, this size could be slightly different. E – 3 Slats 30x62mmx425 mm. G – 2 Slats 30 x 62 milimeter, two meters long. H – 2 Slats 30 x 62 length 395 mm. 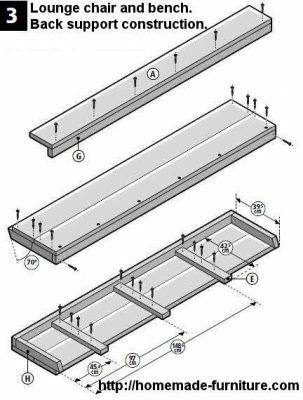 J – 2 Slats 30 x 62 x 810 mm. K – 8 Slats 30 x 30 x 775 mm. 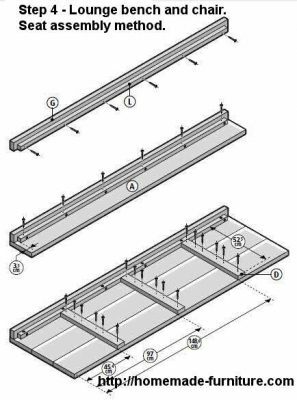 L – 1 Slat 30 x 30 x 19345 mm. 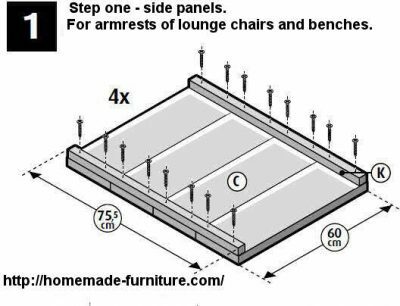 Assembly method for lounge chairs and garden benches. 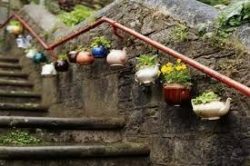 Shopping list for a homemade garden bench. Start by making four panels. For this lounge bench we used eleven planks with a length of 2.50 meters. These have a width of 195mm. and a thickness of 30mm. Four slats of 30×19.5 mm. Ten meters in total. 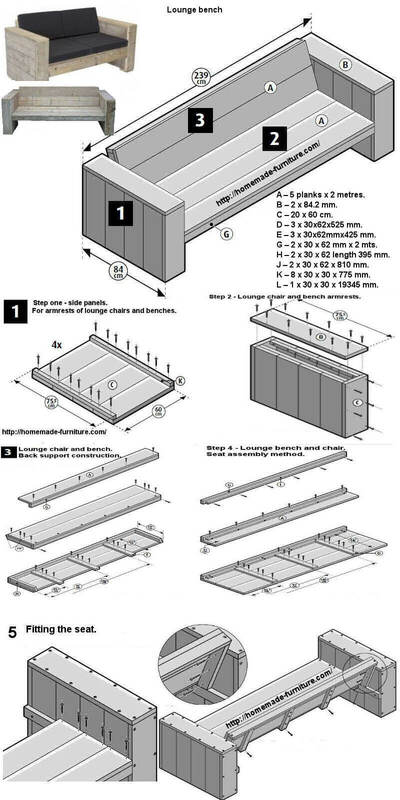 These are called connecting slats, you could substitute them for planks of a dismantled pallet. Length of these slats was 2.5 meter but you could use any length, because we will cut them in smaller sizes. Ten meters of 30×62 milimeters, we used four slats which were each 2.5 meters long. Four slats 30×30 and each 2.5 mts. long. One box with 200 selftapping screws 5x50mm. You have an infinite choice of methods for the finishing of this homemade garden bench in lounge style. Backrest for a lounge bench. 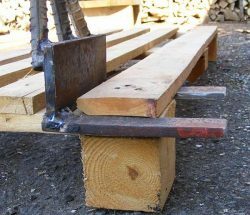 Connecting the planks for a seat. 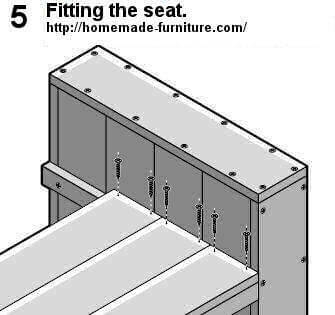 Place the seat between the armrests and place screws lightly. 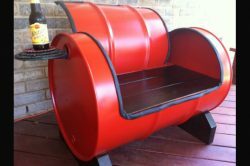 Go to step one of this tutorial, make the side panels for a lounge bench. 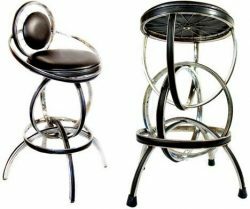 The method for assembly of this scaffolding furniture is the same for chairs and benches.